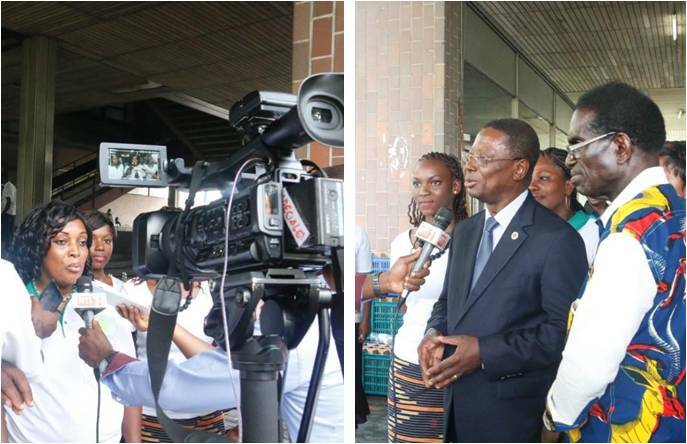 WFWP-Cote d’Ivoire: We held our National Convention on November 14, 2015, at the National Library in Plateau, Abidjan. 190 people, mostly women, from various backgrounds were gathered under the theme “Woman at the Centre of the Culture of Peace”. The purpose of this national convention was to make a review of activities and introduce the WFWP as solution for peace. 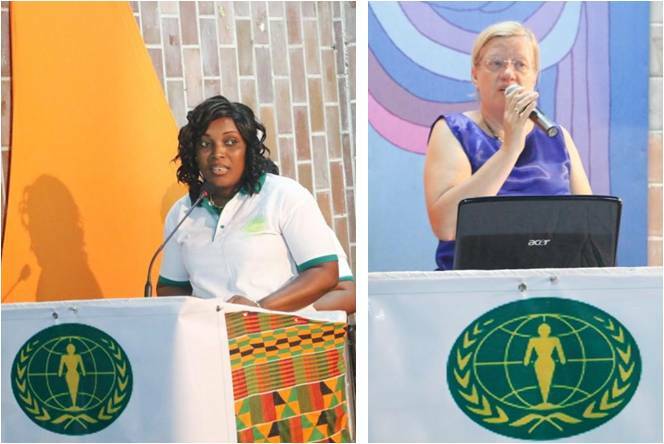 At the beginning, the welcoming address was given by Mrs. Evelyne Palenfo, national Secretary General of WFWP. National Vice-President of FFWPU Rev. Konan Jean Marie Brou representing the National President Rev. Philbert Séka, delivered some words of encouragement and guidance. Then, series of lectures took place. 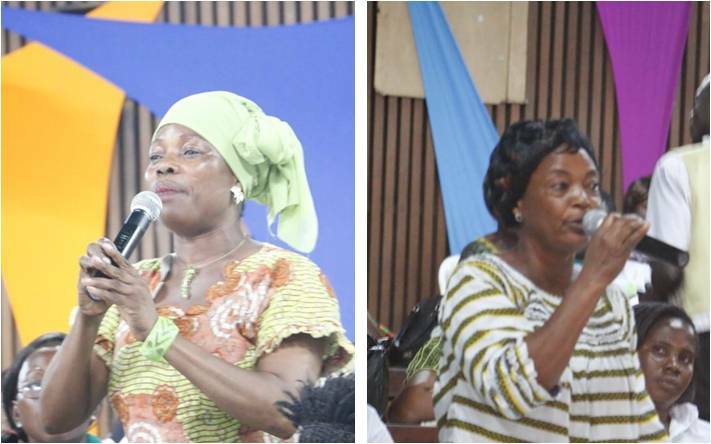 Mrs. Agathe Degbey, national President of WFWP and Mrs. Aya Koffi from the Ministry of Education talked on “Woman and Social Contribution”. Some participants in the audience took this opportunity to make some requests. 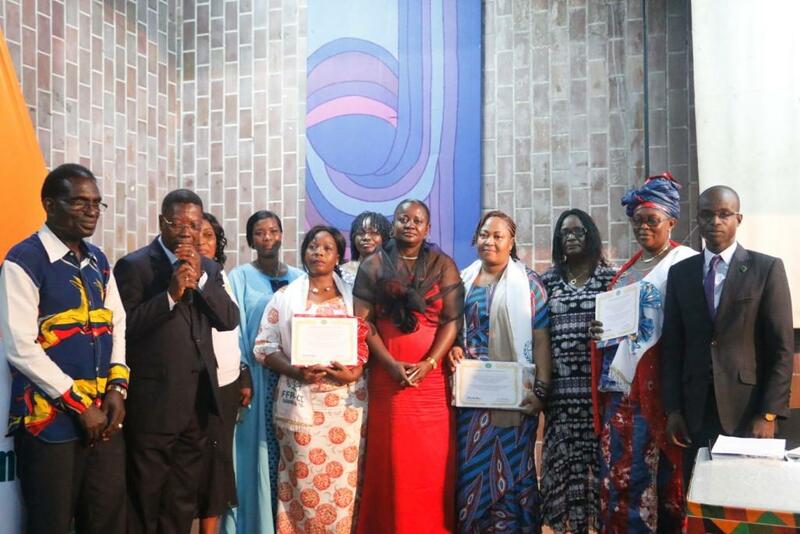 Later on, Mr. Lazare Aka Sayé national President of UPF introduced the Five Principles of Peace and appointed three women as Ambassadors for Peace by offering them their certificates. Another guest speaker Mrs. Konan from the political party PDCI (Democratic Party of Cote d’Ivoire) talked on “Woman and Politics”. 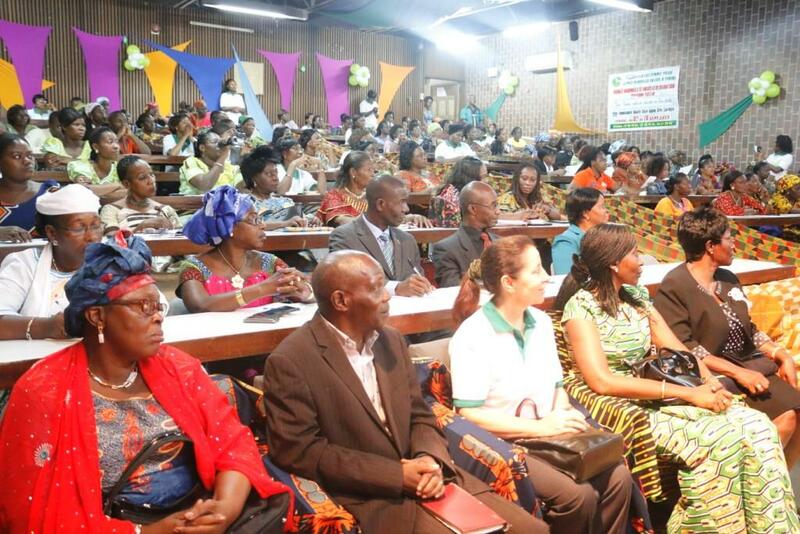 The main topic of this convention “Woman at the Centre of the Culture of Peace” was developed by Mrs. Marie Lorette Elias. Finally, the Regional President of WFWP Mrs. Mau Ilboudo gave the closing words. The national TV station RTI covered the event that ended with some snacks.